The Queensbury Union Free School District is a great choice for families looking for schools with smaller class sizes and a variety of opportunities for students. Housed together on one 200-acre campus, this school district is home to Queensbury Elementary, William H. Barton Intermediate School, Queensbury Middle School, and Queensbury High School. This district has one of the largest student populations in Warren County with over 3,300 students in grades K-12. The average elementary classroom size is 23 students. 95% of the Class of 2016 earned a Regents Diploma with 50% earning a Regents Diploma with Advanced Designation (Information sourced from New York State Department of Education). The school district's mission is to have educators "empower all students to be life-long learners, inspired to pursue their dreams and contribute to the global community." This mission is supported through multiple initiatives and programs offered at the schools. The Spartan TecKnow 1:1 program provides students in grades 5-12 with a laptop computer for accessing digital learning tools at school and at home. A variety of electives in English, math, science, arts and other subjects are available alongside multiple graduation pathways. This district has full day kindergarten. Each year, the district produces a full-scale musical with support from all grade levels. The music department boasts an acapella group, The Madrigals. The art department offers courses in photography, ceramics, jewelery, graphic design and more. The Spartans are comprised of 80 teams from modified to varsity levels competing in Class A in New York Section II atheltics. Sports offered include football, swimming, volleyball, field hockey, cross country, soccer, and tennis. Multiple alumni have gone on to persue careers in professional sports. 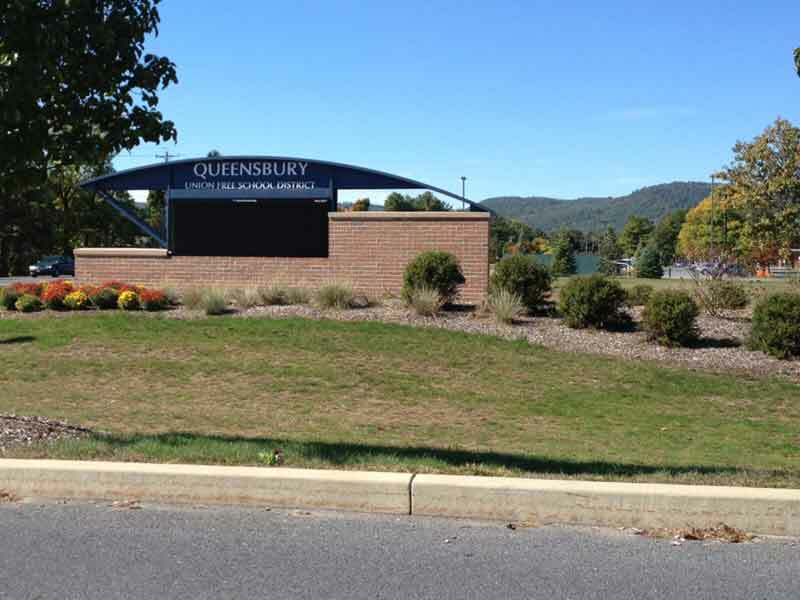 Whether you're moving to the area or looking for a new school district for your family, the Queensbury School District is an excellent choice.